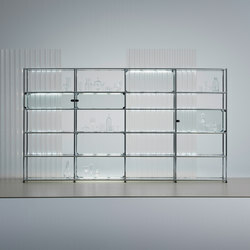 For over 50 years, the Swiss manufacturer USM has set the standard for premium-quality, simple, flexible furniture with its modular Haller System. What comes to mind when you hear the word trend? Is it the latest colour directions at Paris fashion week? Or the latest innovations that leverage big data? The term trend can conjure up a multitude of mental reference points, from short-term fashion fads to long-term technological drivers of change that can disrupt sectors and affect businesses globally. Whatever your reference point, one thing is for sure: we are bombarded by 'new trend’ information on a regular basis and it is hard to make sense of what is meaningful. So how can we cut through the noise and identify what’s really relevant? Let's start by looking back. Minimalism and the corresponding simplification of features and functions have been around for decades. Dieter Rams much-celebrated ‘10 principles for good design’ from the 1970s states, ‘Good design is as little design as possible.’ In the digital age, the unbundling of an app’s features into a suite of mono-function products is a recent indicator of the influence simplification is having on digital-service design. Facebook separating its chat offering, Messenger, into its own standalone app is also a notable example. As our lives become busier and increasingly complicated, simplification has become more and more relevant. The Swiss consumer electronics brand Punkt aims to make life simpler. They believe in ‘one device, one function’. Their brand strap line ‘Technology tamed’ is the guiding mantra of their MP 01 phone, a device with features that are pared back to the essentials: calls, texts, alarms and reminders. Simple. Back to the Swinging Sixties. 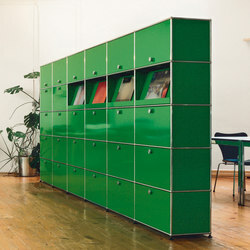 In 1965, Swiss furniture brand USM launched Haller, a simple and versatile modular furniture system. 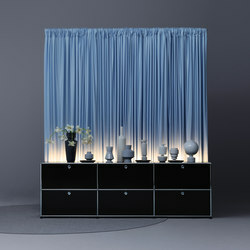 It is based on an open-system principle – able to be modified in almost any way desired. 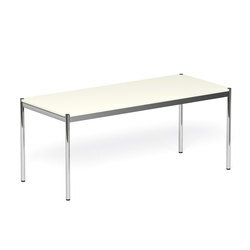 Providing a great deal of adaptability to suit the home and office environment. 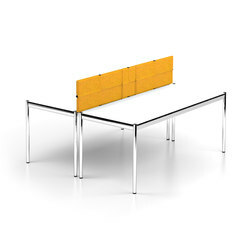 A flexible furniture solution that is arguably more relevant today than it was in 1965. Since 1965, there has been a shift in the way people live and work, unleashed by cloud services like Dropbox and by global trade. This, coupled with changes in people’s attitudes to work, especially after the recent recession, have given rise to the gig economy – sometimes referred to as the freelance economy. A study from the software company Intuit estimated that as much as 40% of the American workforce could be freelancers, independent contractors, or consultants by the year 2020. 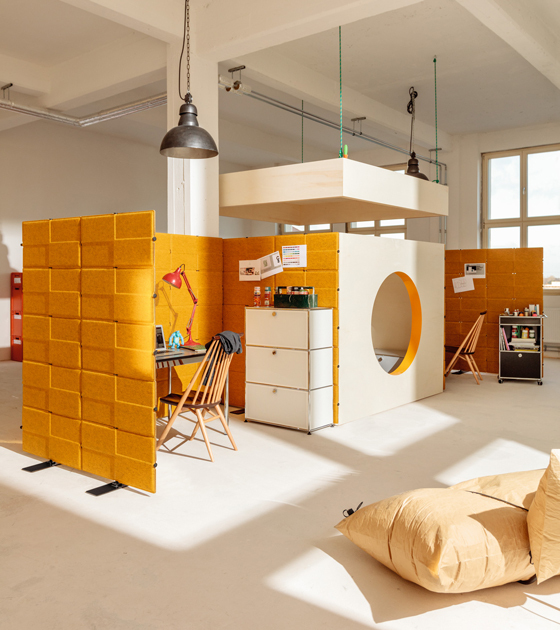 This has led to a rise of co-working spaces, such as Soho Works. An international network of round-the-clock workspaces designed and equipped to support a membership of individuals and businesses in the creative industries. 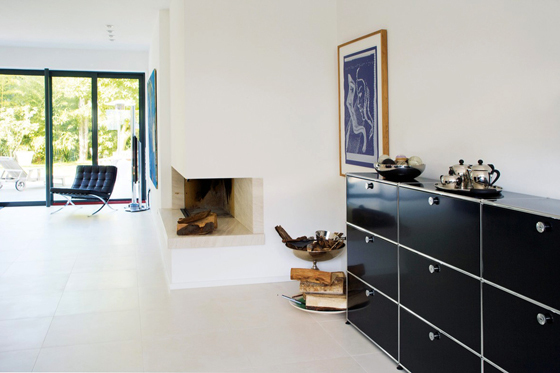 The spaces have a lounge-like feel to them, with agile furniture solutions and soft furnishings. Corporations are also showing signs of more relaxed policies to accommodate more dynamic working styles, such as less structured office environments, flexible annual-leave policies and the opportunity to work remotely. 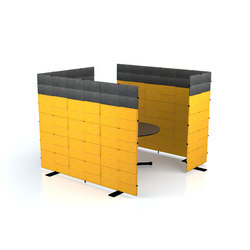 USM have continually redefined their collection to suit contemporary co-working and corporate environments. 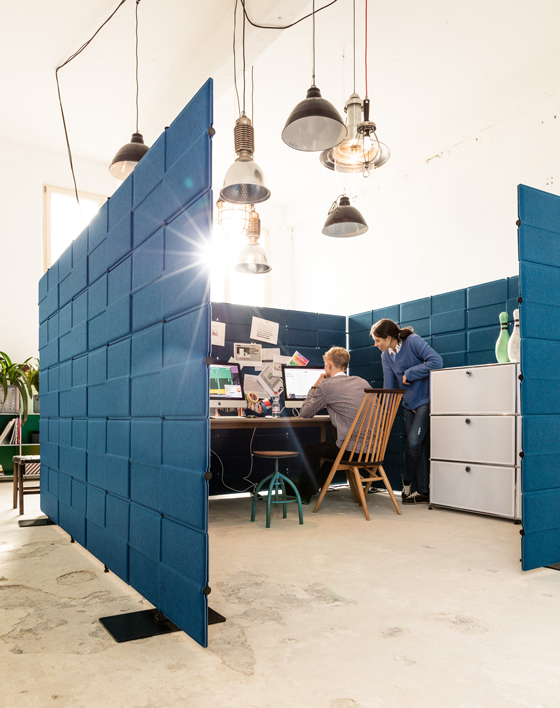 Introducing new products, including Privacy Panels that provide a space-saving, flexible solution for structuring and zoning work environments to improve privacy and to optimise acoustics within a space. 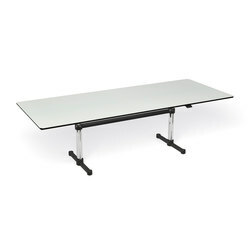 For the home or office environment, the mechanical height-adjustment system used in the Kitos M Table permits standing or sitting work, and allows the user to adapt the table to suit their personal requirements. 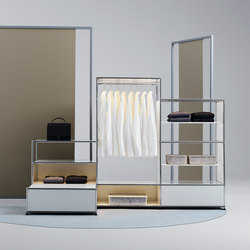 The ability to adapt and customise a product is another trend that has appealed for a number of years. From the end of the Second World War to the 1960s, the focus was on globalisation and economies of scale in manufacturing, as mass consumerism took hold. 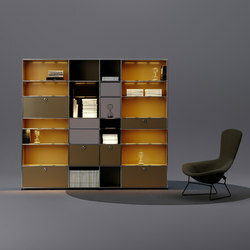 However, the gloss came off that from the 1960s to the 1980s, when individualisation came to the fore. Do you remember Burger King’s 1976 'Have it Your Way' campaign? When ‘customisation’ meant having extra ketchup in your burger. In the digital age, customers’ expectations are far higher and the ability for a brand to intervene far greater. The NIKEiD website – in operation for over a decade now – offers customers the ability to customise their sneakers and share their designs online. The success of this tool is a powerful indicator of customisation's influence on consumer purchases: the brand has seen its NIKEiD business triple since 2004, according to Brand Channel. Custom products are becoming an increasingly important product strategy – as supported by a survey of 1,000 online consumers by Bain & Company that found while less than 10% have tried customisation options, 30% are interested in doing so. Beyond the pure size of the opportunity, the survey also showed that those customers who had customised a product online engaged more with the brand. They visited its website more frequently, stayed on the page longer and ultimately raised brand loyalty. 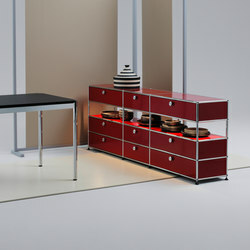 A recent and innovative example of customisation in the furniture industry is the online configurator by USM. 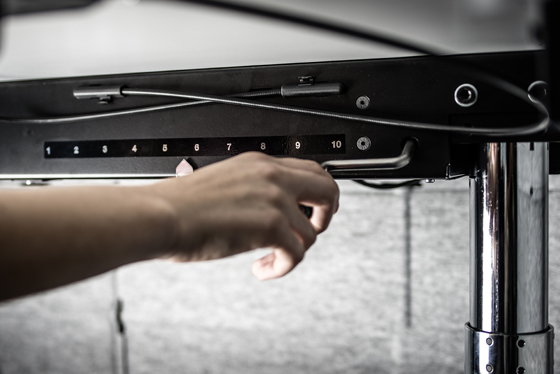 This digital tool allows you to configure your Haller modular furniture system to suit your needs. 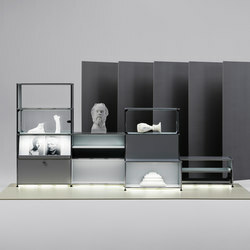 You can arrange and configure modules, and select colours, materials and accessories to create your own custom solution. Once complete, you can share your draft design on social media, and even download CAD files. A compelling example of creating a digital service to redefine a product design classic. Often, ʻnew’ trends are simply a fresher indication of an enduring theme that has been around for a number of years. These long-term themes can help brands to develop a more meaningful point of view on the future. Things do change, of course. The trick is to develop sharper trends by identifying the telling patterns of change and by analysing contemporary indicators that are relevant to your business, brand and consumer context. As for the trends referenced at the start of this article, an interesting big-data indicator is Google’s autonomous car. In a recent article by Maxwell Wessel in the Harvard Business Review entitled, 'How Big Data Is Changing Disruptive Innovation', he references how Google mapped the world, and then took its understanding of traffic patterns and street layouts (big data) to build autonomous cars. At Paris fashion week, meanwhile, orange was the new black.